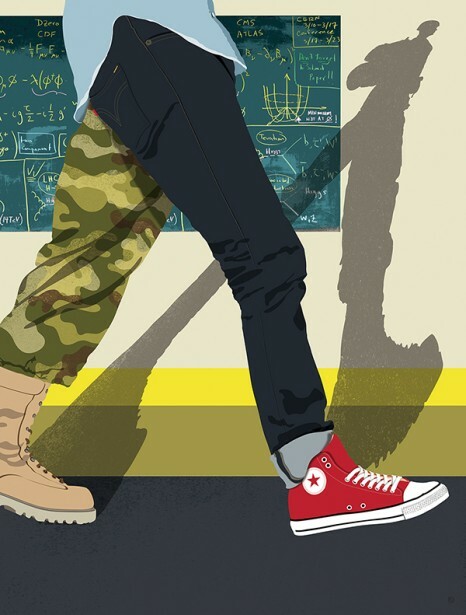 Paul Garland's full page illustration for CURRENTS Magazine to accompany a feature on veterans on campus. The post 9/11 GI Bill is providing finance to help them back into education though the majority aren't choosing to take up long term education as an option. The story talks about the challenges facing vets in education.